Across the nation, it’s happening every day. Executives and editors channeling their inner electrician. Stockbrokers and sous chefs playing professional plumber. Teachers, office managers, personal trainers and innumerable others embarking on a serious building endeavor. And, in many cases, insurance agents cringing for them. Yes, it’s a DIY world out there, thanks largely to social media, marketing campaigns and wildly popular television shows—indeed, enough to warrant an entire new network—devoted to this inviting concept. When a do-it-yourself project is realistically considered, well planned and properly executed, there certainly is something to be said for the cost-saving success that often results. Unfortunately, though, many projects happen outside of that critical criteria, resulting in serious financial regret—or worse. You know what’s coming, and here it is: It’s safest on all levels to leave major or complex home improvement projects to qualified, licensed contractors. Aside from the first and most obvious concern (that other DIY: don’t injure yourself), do-it-yourself decisions can backfire financially. If something goes wrong during your project or after completion, work done incorrectly could jeopardize an insurance payout, sending the very money you intended to save (and then some) straight toward repairs. We’re not referring to that shelving you installed without your spouse’s consent. The first step in any home improvement project—especially adding, remodeling or landscaping—is to find out whether your municipality requires a permit. Contrary to what some might believe, building permits are not just some pesky formality and needless extra expense. They’re designed to protect everyone involved, ensuring safety standards for all and a legal record of changes made to any property. Even more than potential builder error or negligence, a project done without a required permit is a major insurance risk. 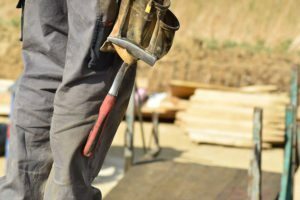 Technically, the work was done not only improperly but illegally, and a claim on damage or failure will almost always be denied. Bottom line? It pays to look into permits. It’s tempting to go with lower-grade materials or subpar equipment, or even forgo some recommended items altogether. After all, isn’t cost savings the central idea behind DIY? Yes—which is the very reason to invest in quality and safety at the start. Then, there’s the age-old mantra: measure twice, cut once. These four words may constitute the single best piece of builders’ wisdom. Take the time to double check all measurements and other estimates, erring on the “long” side when in doubt. A couple of inches could mean far more in dollars when those two ends don’t quite meet. Without professional training and experience, it’s easy to underestimate the hazards of a DIY situation. 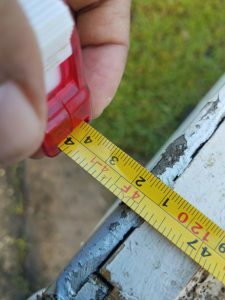 How sturdy is that ladder or crawlspace flooring beneath you? What could happen if that wiring isn’t wired just right? Should you be wearing insulated gloves? Misjudgments around scenarios like these are the cause of many household accidents—and emergency room visits. Further, if someone else is injured on your property as a result of an unsafe environment, you could be looking at a liability claim against you. And finally, speaking of bringing in licensed, qualified pros, call the Dowd Insurance Agencies to learn more about home safety and affordable homeowners insurance. When it comes to exploring options for protecting your family and finances, you don’t have to do it yourself.